The classic Game of Making and Spending Money! You'll make money every month, but you might spend it just as fast! 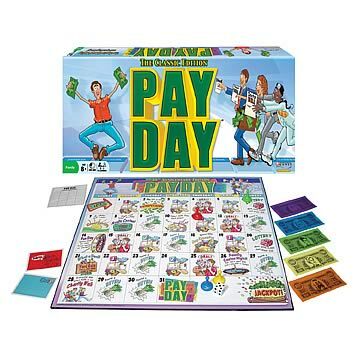 Includes game board, 4 tokens, 1 red die, 64 meal and mail cards, savings and loan pad, play money and rules.